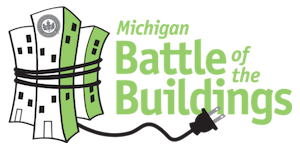 The 2017 Michigan Energy Summit celebrated the 2016 Michigan Battle of the Buildings 'biggest losers' and welcomed the new 2017 competitors. The full day event brought leading building owners & operators from across the state in a peer to peer learning platform. Guests learned how Michigan companies are successfully reducing their energy costs while maintaining occupant comfort & increasing productivity. The days topics included; different approaches by corporations, small business, non-profit, governmental & educational institutions, and how some are financing projects with no capital and an immediate ROI (Return on Investment). You can find the 2017 Agenda here!